Tim Miller for Music Fiend Magazine. 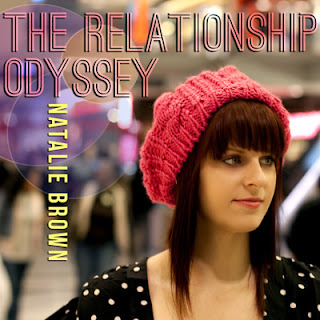 No album has been more captivating than Natalie Brown’s latest concept project, “The Relationship Odyssey”. Her journey during the album’s creation has been extremely inspiring, creative, and a true work of art. 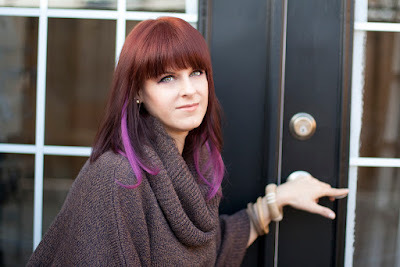 Natalie Brown granted me the very first interview to share everything it took in making this album a success. 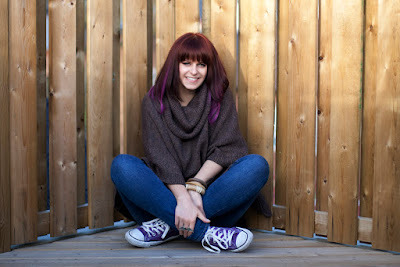 To Continue click "Read More"
As Canada native, Natalie Brown‘s passion for music was nurtured from a young age by her involvement in theater, gospel music, creative writing, and local session work as a vocalist and writer. Upon deciding to pursue a professional music career, she moved to California and was selected to sing with internationally acclaimed Gospel recording artist Ron Kenoly during his Welcome Home Tour in 1996. She continued to tour around the US, and upon returning to California, Natalie studied with world-renowned vocal instructors Seth Riggs (Stevie Wonder, Tevin Campbell, Deborah Cox) and Dave Stroud (Terry Ellis of En Vogue, Rosie Gaines). 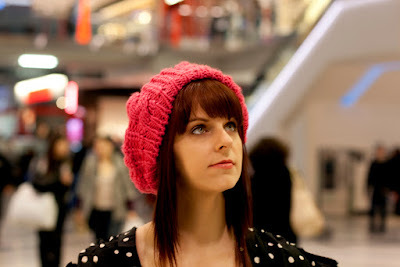 Since late March 2010, Natalie has shared her life with fans via her Video Blog series, including the making of her latest project entitled “The Relationship Odyssey“. The album was released on January 17, 2012, with the partial support of fans and their crowd funding efforts. You can watch the entire series on Natalie’s site or at her YouTube channel. I currently call Toronto, Ontario, Canada, home. I have lived here for a couple of years and most of my memories are of the move back to Canada after living in the US so long and getting re-acclimatized to Canadian life. I guess a funny thing about all of this is that the first year I moved here, I arrived in February and wore my heavy winter jacket until about June. I kept getting comments from random people asking if there was something wrong with me and why was I wearing my heavy winter jacket in such ‘warm’ weather (the concept of warm weather here is laughable to me). There were guys and girls in shorts here in April/May and it was honestly freezing (for me at least). It has taken my body a while to adjust to the cooler northern temperatures for sure! It’s not like it’s the frozen tundra or anything, but I think my blood thinned from living in warmer climates, such as California. How did you come to choose music as a path to pursue? It’s always been a huge passion of mine since I can remember but I made the choice to pursue this professionally at about 19. After a brief flirtation with English Literature studies, I decided I really wanted to go hard-core at music and pursue it as a profession and went to school for a little while to study vocal jazz, then studied privately learning the Speech Level Singing method. I wanted to do something with my life where I felt could make an impact and hear feedback about my voice, songs etc. I felt music was the path to take. If you weren’t doing music what other career or profession would you take on? In an alternate universe, I’d love to be a CSS/XHTML wizard and programmer and design amazing, functional and beautiful web sites. Tell us about your latest album, “The Relationship Odyssey”, and how this concept came to life. The album, which has been written and produced in an electro-soul / R&B style, represents an odyssey through personal relationships of fictional and real-life characters. When I sat down with my producer and co-writer to develop the concept for album number four, we both felt it was time to challenge ourselves to do something different. So the idea of a ‘concept album’ was hatched. We decided that the concept would be two parts: 1. to come up with a new sound incorporating electronic elements, and 2. to make this a thematic album. For the theme, we chose the area of relationships because we wanted to cover topics that were universal and also to do songs that would cause people to think and talk about the subjects that were brought up. With this latest album, you shared the behind the scenes with your fans. How easy or difficult was it for you to do? Sharing the songs and giving updates via my YouTube video blogs as they were being written was a great way to get feedback. The interaction, while it made me feel vulnerable, was inspiring and gave me a lot more confidence and strength. Since these songs are about relationships, it’s been good to hear that people are able to relate to one or more of the topics covered in “The Relationship Odyssey”. Are there any songs that mark great memories in your actual relationship life, past or present? I could honestly go on for days…..
Who else is behind this amazing album? Producers, songwriters, anyone you want to shout out and their role in the album. Jeremy Rwakaara and I did everything together for this album, as we usually do. He co-writes, programs the instruments, produces, engineers, mixes and masters all of our music. He’s amazing, to put it succinctly! For other aspiring artists, what’s your advice on how to engage fans instead of spamming them? Engaging means socializing and conversing with people and getting them hooked into who you are and [then], as a byproduct, your music. The best practice is to be an interesting person and share your talent; not just spam tweet or spam in any way the links to buy your CD. The fan/artist relationship is just that…a relationship. How does Natalie Brown relax and have a good time? I love to hang with my soul mate, hang with friends, go to the movies, shop, get weird stuff from eBay, cook, read, text, watch Hulu, and surf the web. I love to travel as often as I can. I’ve travelled across the United States as well as some of Canada and the U.K by car, bus, and train. I’ve travelled by plane as well, but that doesn’t fall in the “relax and have a good time” category. Warm weather makes it possible to hit the beach or go camping. Otherwise, I’m a pretty simple girl in many ways. On your album, the song “Fly Bird, Fly” is absolutely wonderful and inspiring. I couldn’t help but recall the time you went SKYDIVING! Tell us about that! It was an amazing and empowering experience to leap from 10,000 feet and survive! I actually wrote a blog about my feelings about the experience and you can read the blog and watch the video of me skydiving . Thank you Natalie, for your gift “The Relationship Odyssey”. Any more shout outs? A big thanks to all who buy a copy of the album, spread the word, and are touched by what we have created. I truly appreciate the loyalty Natalie Brown has shown me. When she first announced a new album was in the works, I jokingly asked her for the world premier interview, I wanted to be the first. And now, here we are, she is a woman of her word. Natalie Brown or Ninja Nat, as I call her, is one of the brightest most friendly people you’ll ever become a fan of.When you buy this album, you open the conversation to explore the shapes of love & relationships. Here’s to happy exploring ! Natalie is really a one-of-a-kind musician! I love her entire body of work. And she is such a genuine artist too!